Ai Fiori, located in the chic Langham Place, is a favorite amongst NYC Restaurant Week go-ers. Its menu combines the traditional cuisines of the French and Italian Rivieras. The restaurant also has an inviting bar and lounge, with a large selection of cocktail and wine offerings. At the moment, Ai Fiori is staffing for several FOH and BOH positions such as Host/Hostess, Pastry Cook and Bartender. Narcissa is a cozy, farm-to-table East Village restaurant that is situated right next to The Standard. The chefs at Narcissa use local and organic ingredients from Hudson Valley, which is just outside of NYC. In the warmer months, patrons can dine al fresco in the private garden space. Apply to Narcissa's current openings for Line Cooks, Family Meal Chefs and Cooks. Chef Daniel Boulud's casual bistro, Bar Boulud, serves seasonal French fare and plates. Its Restaurant Week menu features one of its most signature dishes, steak frites, along with other classics, like confit de canard and gâteau au chocolat. Bar Boulud is in search of passionate Servers, Hosts/Hostesses and General Managers to join their team. Upscale, penthouse-level Gaonnuri not only offers contemporary Korean eats, but splendid panoramic views of NYC. The Michelin Guide 2015 recommendation's Restaurant Menu meals are available for lunch and dinner, Sunday to Friday. Become a part of Gaonnuri's Host/Hostess, Server and Pastry Chef team. 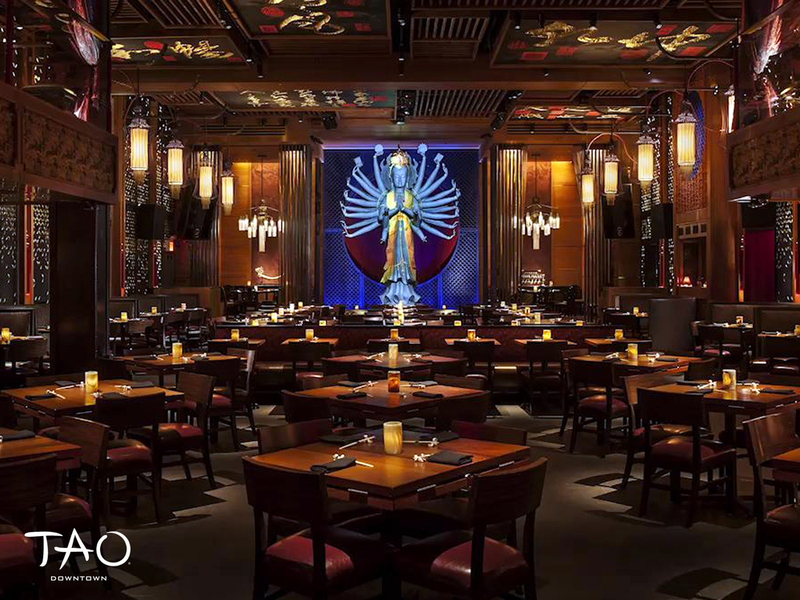 TAO, a major hotspot in NYC and Vegas, is holding Restaurant Week at both its Downtown and Uptown NYC locations. Guests will enjoy bold Asian-inspired meals influenced by Hunan, Szechuan, Singaporean and Malaysian flavors. See the jobs that available at TAO Downtown and TAO Uptown. Other participating restaurants that are also hiring include: Arlington Club, Beauty & Essex, David Burke at Bloomingdale's, David Burke Kitchen, The Dutch, Esca, Lafayette, Lavo, Miss Lily's 7A, Osteria Morini, Red Rooster, Ristorante Morini and Sant Ambroeus.